Thank you for Partnering with Global Youth Ministry! Global Partners join us to partner with established ministry locations in Wales, Israel, China and countries in Africa and Central America. Support our staff who live and work abroad to establish effective youth work in local churches. 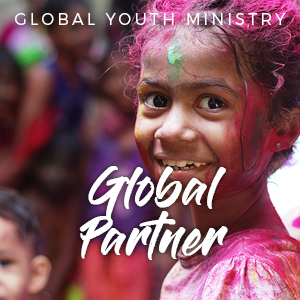 Please Note: Partners are kept separate from other purchases from Global Youth Ministry.